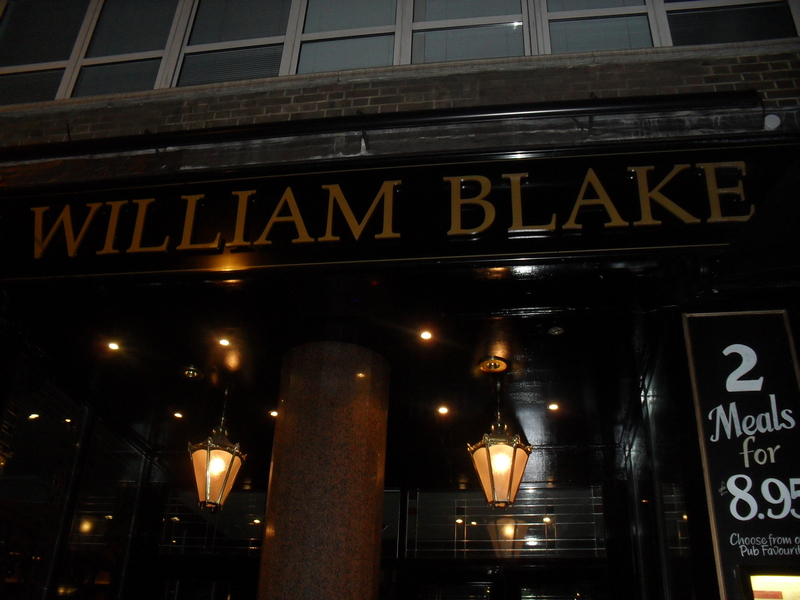 When William Blake wrote the revolutionary poem Little Black Boy in 1789, could he ever have imagined that over 300 years later there would be a pub named after him with a black man on the door as the bouncer. The poem, described as the “finest of the abolishment movement” spoke out against the condemnation of black people in England during his time. Blake envisioned a time where black people would be accepted as equals; as the poem depicts a mother’s lesson to her son of looking ahead to ‘a world to come’. Although some may view this as the heavenly reward, I perceived this as a ‘future age’ where colour differences will be thought irrelevant. Until the end of the century, Blake was actively involved with the fight to abolish slavery. ‘In the 1780s and 1790s, he believed that the freedom he longed for was actually at hand, but later he was less optimistic. But he never ceased from mental fight against the prevailing ideas of his time’ (Smith, 2002, p.216). I wonder how Blake would comment on the abolishment of slavery in 1833. Furthermore, I wonder if he could have ever imagined that one day there would be a black man as the figure of authority on the door of his very own pub. I obviously felt compelled to toast a drink to the great revolutionary. ← Is the EU the Gateway to Prosperity?